A while back we featured an article in Accomm Management Guide covering how a next generation Property Management System strengthens your business. The headline: There's a wave coming. That wave of course relates to the surging guest and revenue numbers in the hospitality sector. Yep, they're still building. MYOB New Zealand General Manager James Scollay says the retail and hospitality sector has come off the back of a great year, and looks to be gearing up for further growth. “Following several very challenging years, the sector has continued to grow and consolidate its gains, establishing itself as one of the leading lights in New Zealand’s economy,” Mr Scollay says. Most notably, in our perspective, was Mr. Scollay's comments about the Hospitality industry's connectivity, saying the strong use of online technology is an important factor for any business, with the ability to increase revenue and bolster customer engagement, while also attracting new customers and aiding communication. “The retail and hospitality sector is particularly good at using technology in such a way that it benefits their business,” he says, and we couldn't agree more. 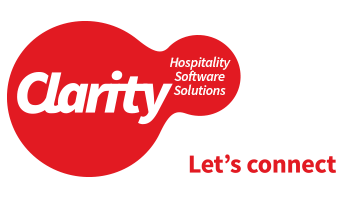 Clarity Hospitality Software helps our customers do three things: Increase productivity, make the most of opportunities and increase profit. For a demo of how our solutions can improve your hospitality business, get in touch.